You just GOTTA have one! 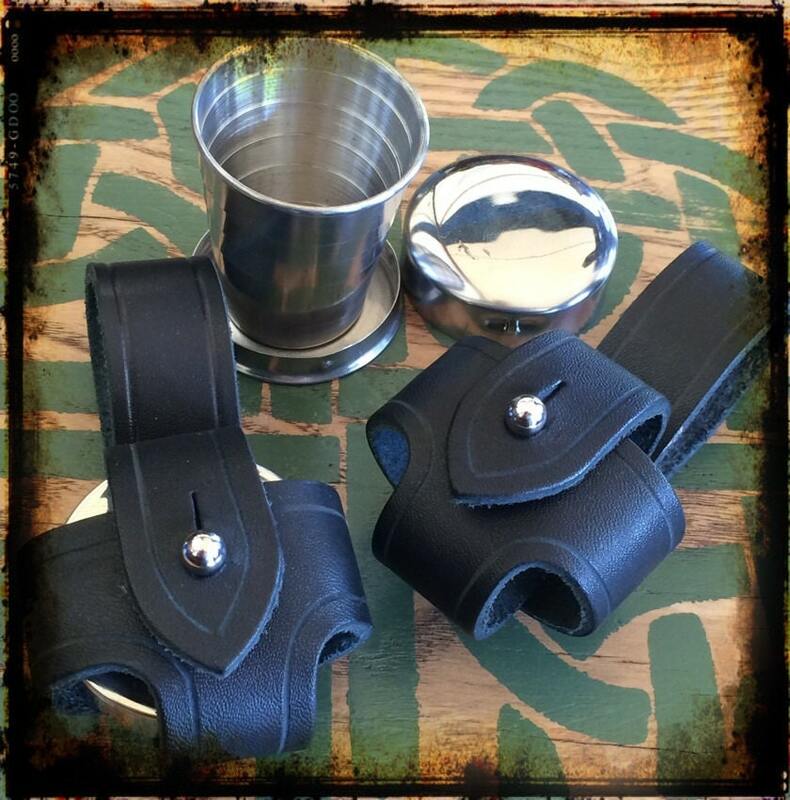 A stainless steel collapsible shot glass with a leather belt holder. A must for that avid party-animal. It would compliment one of our stainless steel hip flasks nicely. Black leather with a button stud closure. It will fit on a 2-1/2" belt. Ohio residents are to pay 6.5% sales tax to be calculated in PayPal. International buyers, please contact me for shipping charges and a private listing.